Kyle Massey was born on August 28, 1991 in Atlanta Georgia and is best known as an American actor and rapper. His acting career started as a result of his performance in ‘The Wizard of Oz’ however, his real breakthrough came with his role as Cory on the Disney sitcom ‘That’s so Raven.’ Cory in the sitcom is Raven Baxter’s mischievous young brother, in most cases they don’t get along. Later down in the series, Cory starred in “Cory in the House” which became a spin off from the ‘That’s So Raven’ Disney series. He also plays a voice over role as Huntsboy 88 in Disney Channel’s animated series American Dragon: Jake Long and recently performed a role in upcoming 2011 film ‘Tom and Jerry’. 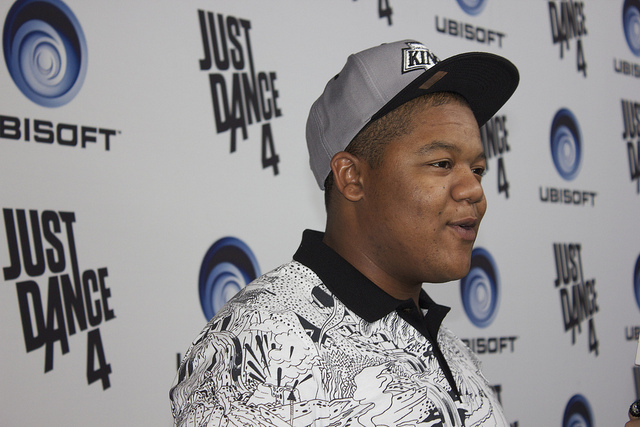 Kyle Massey is the brother of actor Christopher Massey who is best known for starring in Nickelodeons Zoey: 101. He is also StarPower Ambassador for the Starlight Children’s Foundation.